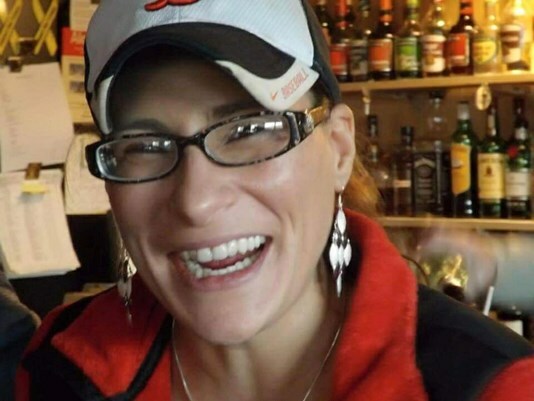 Meanwhile, a Fryeburg police officer who was injured Saturday during the search for Jennifer Bousquet remains in critical condition. 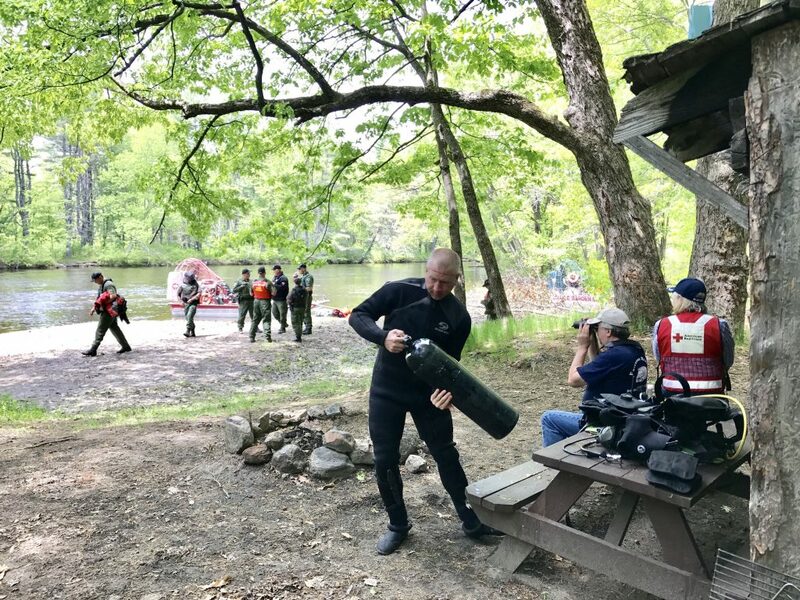 The body of a canoeist who had been missing on the Saco River since Saturday was found by divers just after noon Tuesday, as a Fryeburg reserve police officer who sustained head injuries during the initial search remained in critical condition. Jennifer Bousquet, 38, of South Berwick was not wearing a life jacket when game wardens found her body, said Cpl. John MacDonald, spokesman for the Maine Warden Service. Her body was found in 8 feet of water by a diver with the warden service, about 350 yards downstream from the spot in Fryeburg where she and her companions put their canoe in the water, MacDonald said in a prepared statement. Search-and-rescue teams with dogs had been combing the shore of the Saco River since Bousquet’s canoe capsized around 4 p.m. Saturday. MacDonald said Bousquet was paddling with her boyfriend, Brian Day, 54, of South Berwick, when their canoe overturned. Day and a third person in the canoe, Wayne Demers, 62, of Somersworth, New Hampshire, got to shore safely. Bousquet’s mother told WMUR-TV in New Hampshire that it was the first time her daughter had paddled on the river. Sekenski could not be reached for comment Tuesday. The turbulent conditions forced the warden service to use search equipment such as remote cameras to search hard-to-reach areas clogged with debris. MacDonald said divers were aided Tuesday by lower water levels and less current in the river. Although life jackets were found at the scene of the accident, Bousquet was not wearing one when her body was recovered, MacDonald said. Fryeburg police got a 911 emergency call shortly after the accident, which prompted reserve officers Dale Stout and Nathan Desjardins to man the department’s motorized jet boat – a two-seat motorboat. The police department also has an airboat available, but Police Chief Joshua Potvin said it was not used during Saturday’s rescue mission. Stout, 51, was operating the boat and Desjardins, 20, was riding as a passenger when the boat hit a submerged object in the river. Both men were thrown from the boat. Desjardins, on his first day of boat training, suffered a head injury and was taken to Central Maine Medical Center in Lewiston, where he remained in critical condition, Potvin said Tuesday night in an email. Stout suffered less serious injuries and was released from the hospital Monday and is resting at home, the chief said. Stout, who also is a firefighter/paramedic with the Biddeford Fire Department, declined to be interviewed when contacted at home Tuesday. Biddeford Fire Chief Scott Gagne released a statement Monday saying that the department’s peer support team has been working with Stout and his family. “Dale has been a valued career member of our department for the past 11 years. We wish him a speedy recovery. Our thoughts also go out to Officer Desjardins and his family,” Gagne said. Bousquet’s body will likely be sent to the Maine Medical Examiner’s Office to confirm the cause of death, MacDonald said. He said the cause of the police boat crash will be investigated, including an autopsy of the craft to determine whether there was any mechanical malfunction. Wardens still do not know what type of submerged object the jet boat struck.